There is a storm on the way! Literally. As I write this, the first winter storm is headed our way. The grocery stores have had their run on bread and milk. Hardware stores are under siege for batteries, snow shovels and, you guessed it, generators. 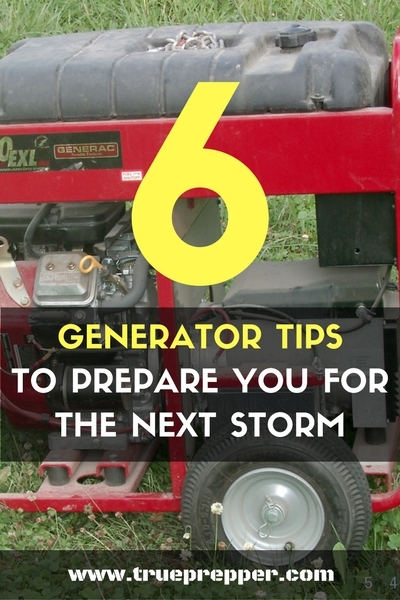 As a practical prepper, I’m all set with all those, especially generators. When the ice piles up on the tree limbs, the tree limbs break and fall on the power lines. Since it’s widespread, it will be a while before you have electricity again. That’s why you need a generator! 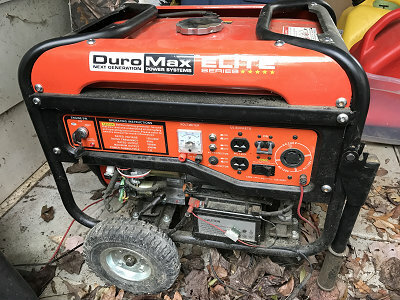 My household generator is a Duromax 4500E. This is a great generator because it provides the power and features I need. What are those important features? 4500 starting watts and 3500 running watts. They are different because appliances surge when they turn on, then draw less watts. You must add up the watts for the appliances you want to use. Reliability! I’ve had this for years and it has started every time I tested or used it. Circuit breakers and plugs. Enough for extension cords or the 240V whole house plug. My portable generator for use when bugging out is the venerable Honda EU2000. This is what Ham radio operators use to power radio when operating in the middle of a field. It is so reliable, it should last decades if taken care of. It is so simple to use! Below is a video of it starting up and running. Hear how quiet it is? At 200 watts max and 1600 watts running, it will run hand-held power tools and small appliances. It’s no good when you don’t test and maintain it. Check the gas and oil levels. Start it up and let it run for 5 minutes. On the Duromax, the battery charging light will go out when topped up. With a solar charger already connected, it took only 3 minutes of the engine running for the charging light to go out. After the generator runs, and it has a fuel switch on it (like the Duromax), turn the fuel off and let it run until it the engine stops. That clears the gas out of the carburetor. Let it cool off and then keep it covered so the weather doesn’t destroy it. 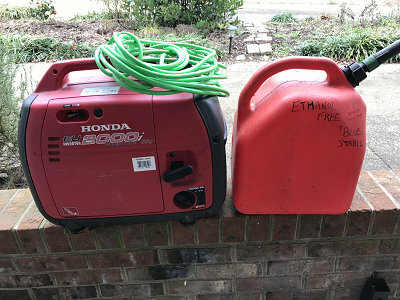 There is a big sticker on both of my generators that say do not run it in or near the house. These things stink when they run! Avoid the awful fumes and stay safe by keeping it as far as possible from the house. That will also keep the noise down. Only use ethanol free gas and add the blue “Stabil” brand gas treatment. This will make it so the gas left in the tank and fuel lines won’t break down and ruin the engine. The blue stabilizer (Here on Amazon) is marine-grade and simply works better. Label your 5-gallon gas can as “Ethanol Free + Blue Stabilizer” and use it in all your small engines. Power strips are a failure point if you connect something like an electric space heater to your generator. The generator has its own circuit breaker. If you need extra plugs, get an outdoor rated power cord with multiple plugs on the end. If you have a ton of money, plunk down thousands of dollars for a whole-house generator. Lowes hardware sells them and they turn on automatically, test themselves, and make life easy. Otherwise, you can use a small generator like the Duromax, a 240 volt cable, and a special plug next to your power meter. That plug must be installed by an electrician. The biggest note is that you MUST turn off the main house breaker before using that special plug. Once you do that, your generator can run your house. Just make sure not many appliances are running. Never ever try and heat your house with a cooking stove, oven, or grill. That is so dangerous, you should never consider it! 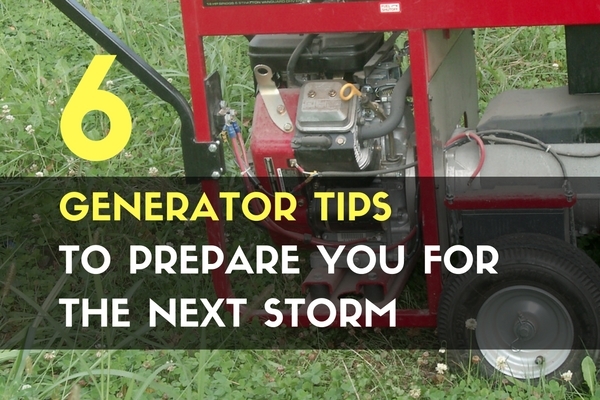 Generators have a grounding lug that many people ignore. To protect both the generator and appliances connected to it, the lug should be wired to a ground. Buy an 8 foot ground rod and lug for $15 from Lowes, drive it in the ground, and wire to it. I hope my practical prepper experience here has helped you get ready for that next storm. If you have any other helpful tips, we welcome your input. Please comment accordingly.